I tend to make a vat load of this paste and freeze batches so I can whip up this curry in 15 minutes. For a comforting soup add 500mls of organic vegetable stock and 2 portions of softened rice noodles. Add the paste and the turmeric. Add the salmon and gently cook turning occasionally until the salmon has changed to a light pink colour. 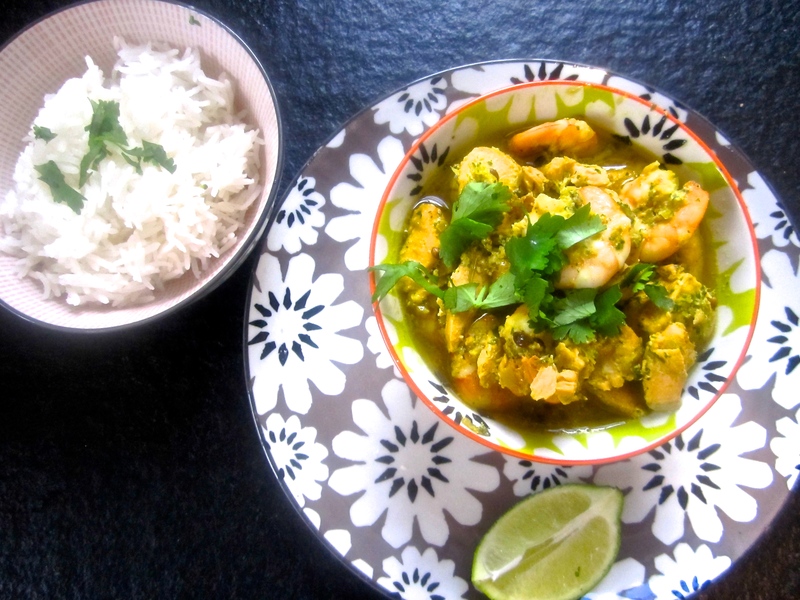 Share the post "Thai Fish Curry"